In the past few years, monogram and personalized jewelry have made a huge comeback. You see everyone wearing the large initial necklaces and the nameplates, almost everywhere you look. I remember my “Carrie” necklace from the 80’s (I think I still have it), and I’m glad I kept it! 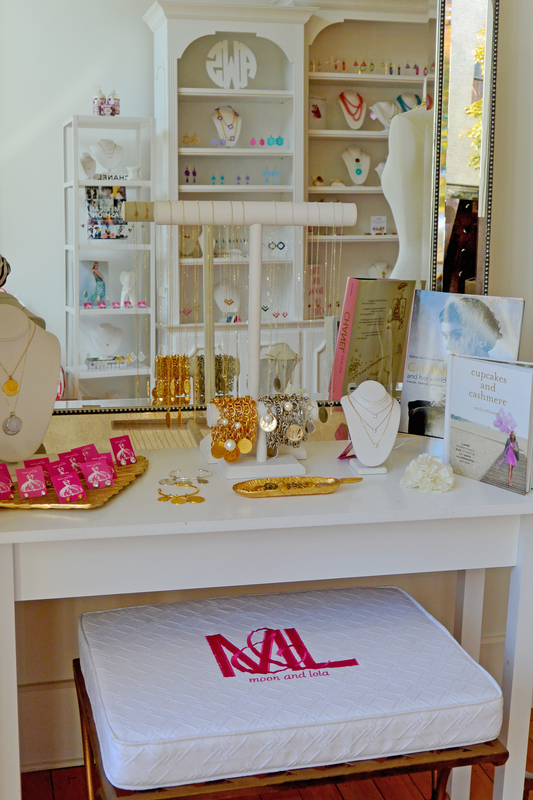 One of my favorite stores to find these fun pieces is Moon & Lola, a jewelry boutique featuring necklaces, earrings, bracelets and other high fashion items, all designed and produced in Apex, NC, a few towns over from Raleigh. 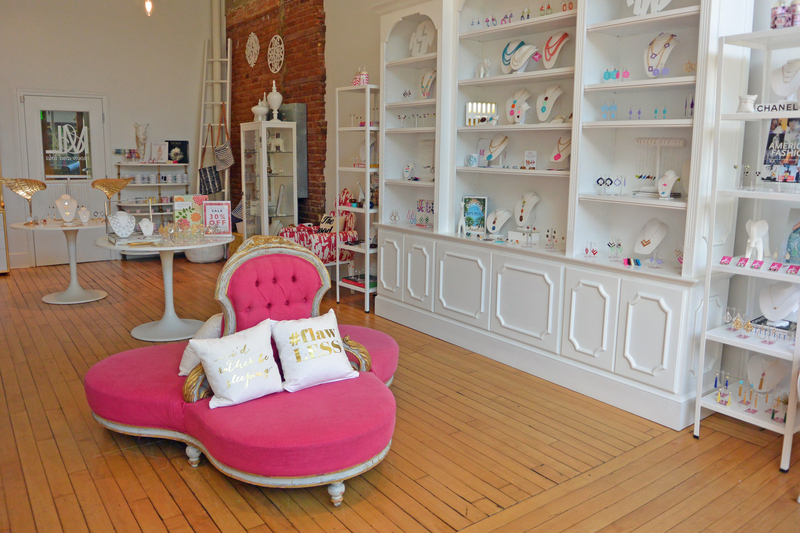 There is also a flagship store in downtown Raleigh, and one in Charleston, SC. But of course, if you don’t live near to any of these locations, you can always visit their website to find numerous retailers that carry their items, nationwide, including Nordstrom and Neiman Marcus. And by the way, their colorful monogrammed cuff links ended up on Oprah’s 72-item “Favorite Things” holiday list for 2014, read all about it, here. Just having visited Raleigh a few weeks ago, I can tell you M&L is a place not to be missed. First, the store is gorgeous! When you walk in, you’re not sure where to look. So many cute, comfy, pink couches, and all of their displays are beautiful. Also, the staff could not be friendlier. 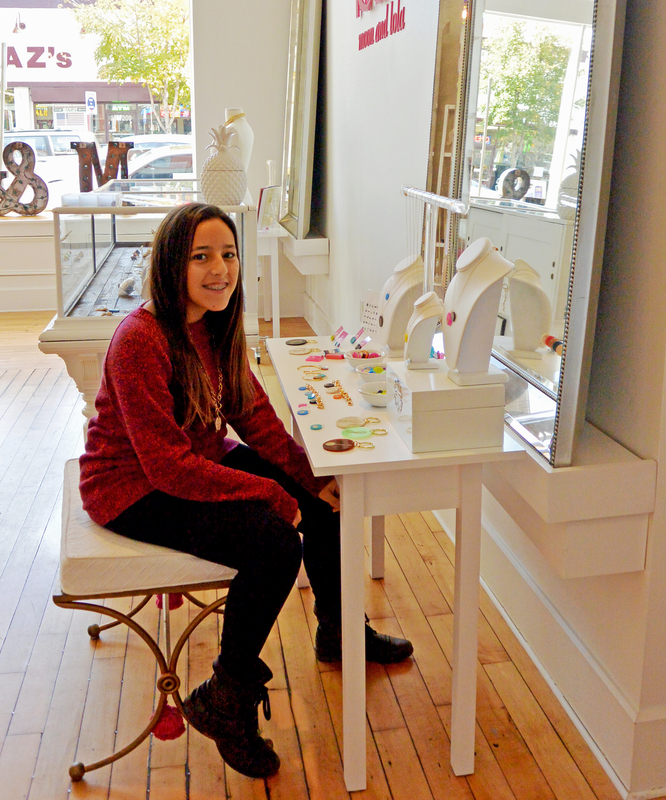 Each time I’ve visited the store I have always been greeted by very attentive, sweet, young ladies that really take the time to help you personalize just about any item they sell. Needless to say, we made a few purchases, and my daughter loved everything about this place, so I’m sure we will be returning on our future Raleigh visits. And if we don’t make it back soon…there’s always the website! 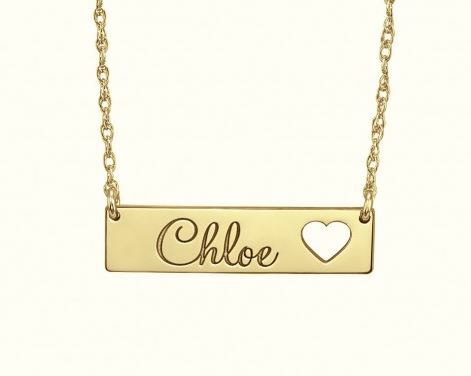 Alison and Ivy Cutout Heart Name Necklace, $125. Three Hip Chicks, Dalton Initial Charm Necklace with 3 Charms, $68. 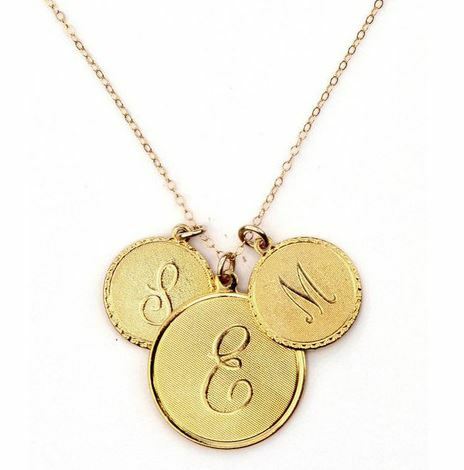 Do you like or own any monogram jewelry, and if you do, which are your favorite pieces? Very cute jewelry. I remember doing the gold monogram rings! Had a big “T” for everything! There are some really nice things here (including the bench!). I think monograms add a nice touch. Wow! These are simply amazing pieces. I adore that necklace your daughter is wearing. Simply beautiful! Wow! I love the decor of that boutique! So very chic!! 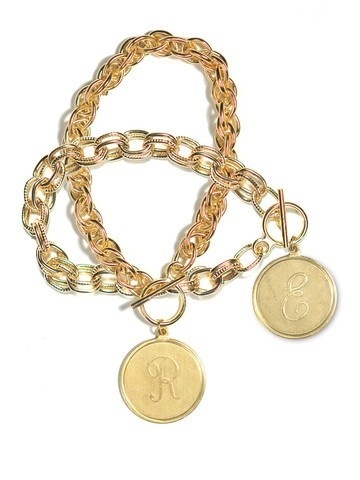 These monogram jewelries would make really good gifts. Love monogrammed anything! Especially the E necklace and I have a special place for the Chloe bracelet. Love! What a beautiful looking story. Would love to visit there someday and pick out some amazing jewerly. Bonnie – I totally agree with you. I would love to get a piece of their jewelry too! 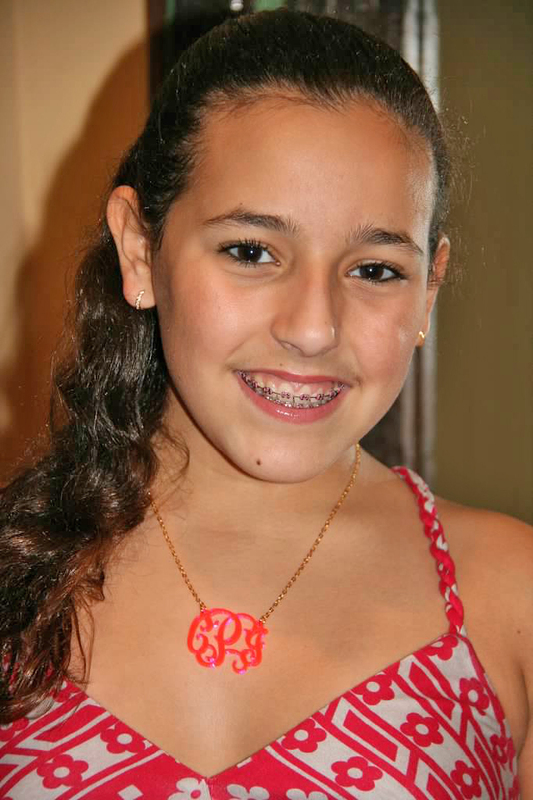 I didn’t realize monogrammed jewelry was such a huge thing. There are a lot of great pieces out there. 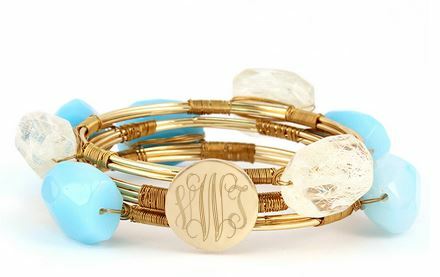 I love monogrammed anything, and jewelry is just so special when it comes to your initials. 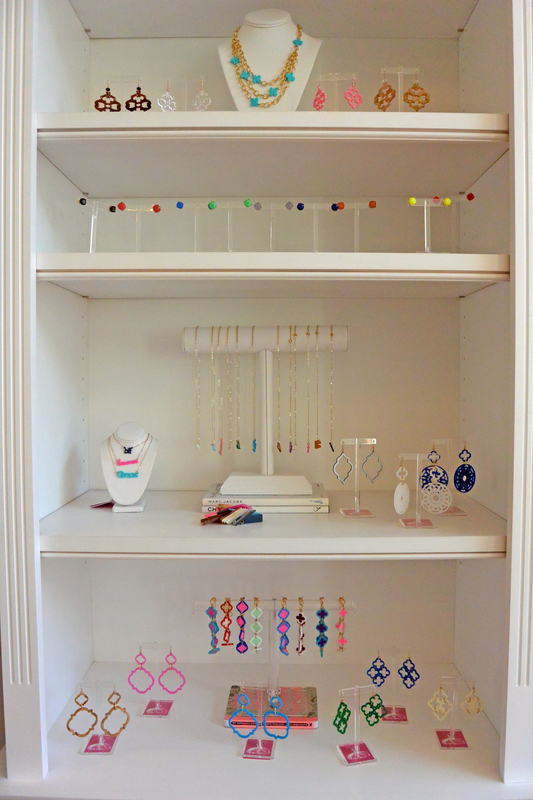 I love the larger circular, blue and white earrings shown in ‘More beautiful displays’ photo. That necklace is gorgeous! I love monogram jewelry. Woman looks gorgeous when wearing a jewelry, this would be great to your daughter.. 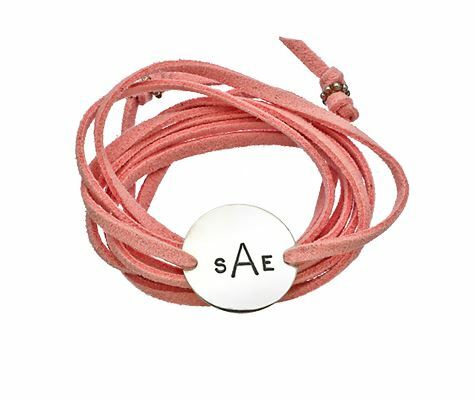 These are some really beautiful pieces of monogrammed jewellery. I would love to get something like this. I love monogrammed jewelry but don’t currently own any. I love the necklaces and bracelets. Monogram everything for me please. I love it – cute stuff!